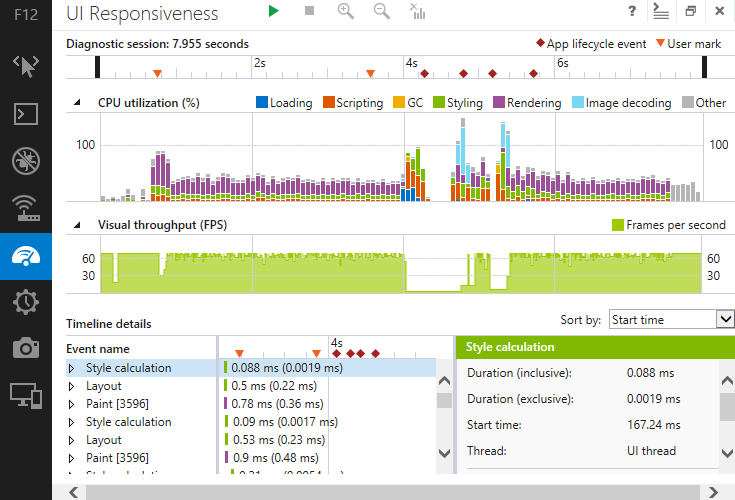 **Visual Studio In my IE Developer Tools – **Wow, ok, so one of the best things. I don’t know if they got the Visual Studio team to come help out or what, but if you’re a VS developer you’ll see _a ton _of features that feel like you’re in VS. Intellisense is now available in a lot of areas to make is much easier to add CSS without having to know exactly what you want. **Performance evaluation tools – **Ok, so maybe this is my favorite. 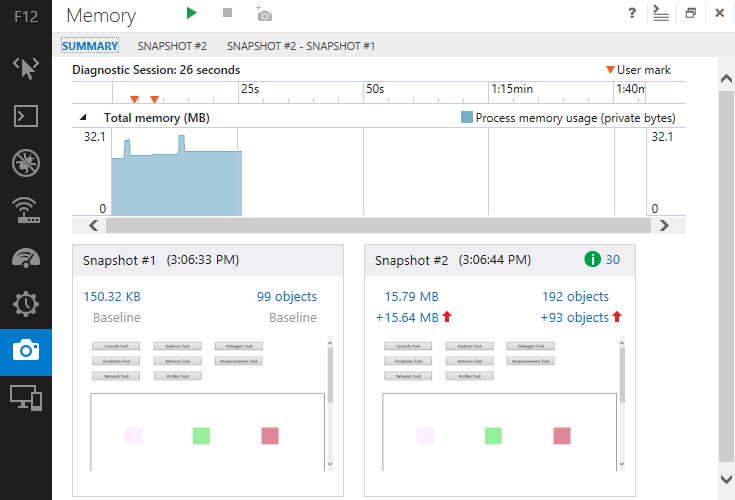 Now there are tools to do performance snapshots while your app is running so that you can see memory usage differences between a few different points in time. But wait, there’s more! You can drill into individual variables and functions and it’ll give you very detailed readouts of where your performance bottlenecks or leaks are. It’s incredibly powerful for building Single Page Applications where leaks are critically important for pages and scripts that run for very long periods of time. Incredible, incredible update with a lot more stuff. It’s been much needed. With these top features, GPS emulation, WebGL support, and much more, it makes me so happy to see IE on-par as a web development browser. What are _you _most excited about and what other features would you love to see in the dev tools that this update may have missed? Also, check out more of what’s new in IE11 in Microsoft’s official post.